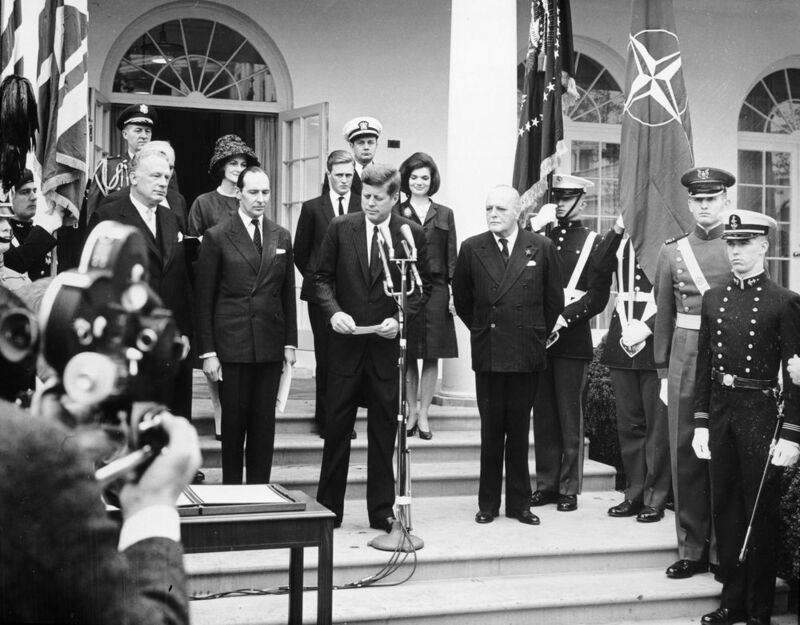 Pre­sen­ta­tion of Churchill’s hon­orary cit­i­zen­ship, 9 April 1963. L-R: Act­ing Sec­re­tary of State George Ball, lady Orms­by Gore, British Ambas­sador Sir David Orms­by Gore, Win­ston Churchill (grand­son), Naval Aide Tazewell Shep­ard, Pres­i­dent Kennedy, Jacque­line Kennedy, Ran­dolph Churchill. Pho­to by Cecil Stoughton.